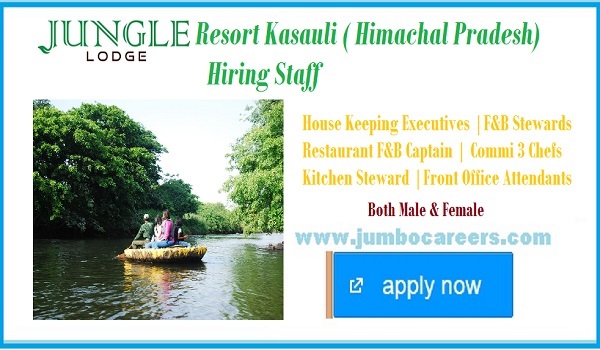 Jungle Lodge Resort is situated near Kasauli, Himachal Pradesh is hiring Hotel management professionals. Fresh and experienced persons can apply for the post.Its mandatory to have hotel management background degree or experience in Industry if you do not have Hotel management degree. How to Apply for Jungle Lodge resort careers?